Put More Bite in Your Forging with a Bulldog Tool! Bulldog Tools carries a variety of hammers to suit your forging needs. 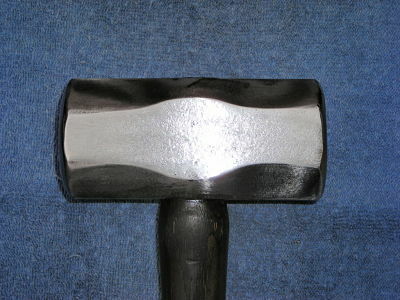 The Bulldog Tool Rounding Hammer is available in various weights to include 1.34lb., 2lb., 2 1/4lb., and 2 1/2lb. Each Rounding Hammer is hand-forged from 1045 steel with ash or hickory handles. The Bulldog Tool Clipping Hammer is available in various weights from 1 1/2lb. to 2 lb. 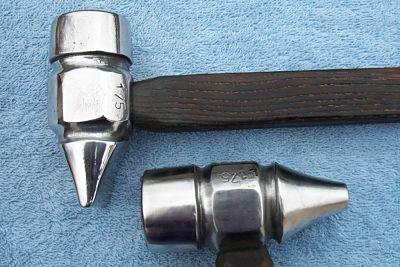 The Bulldog Tool Cross Pein Hammer is available in various weights to include 1 3/4lb., 1.85lb., 2 lb., and 2 1/4b. The Bulldog Tool Clipping and Cross Pein Hammers are hand-forged from 1045 steel with ash or hickory handles. 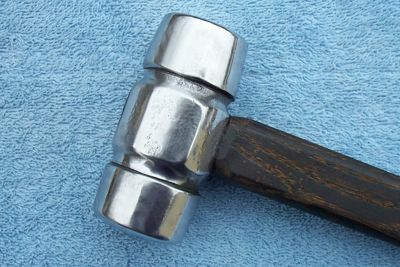 The Bulldog Tool Sledge Hammer is available in various weights from 5.5lb to 7.5 lb. The Bulldog Tool Sledge Hammer is hand-forged from 1045 steel with handles made from with ash or hickory.